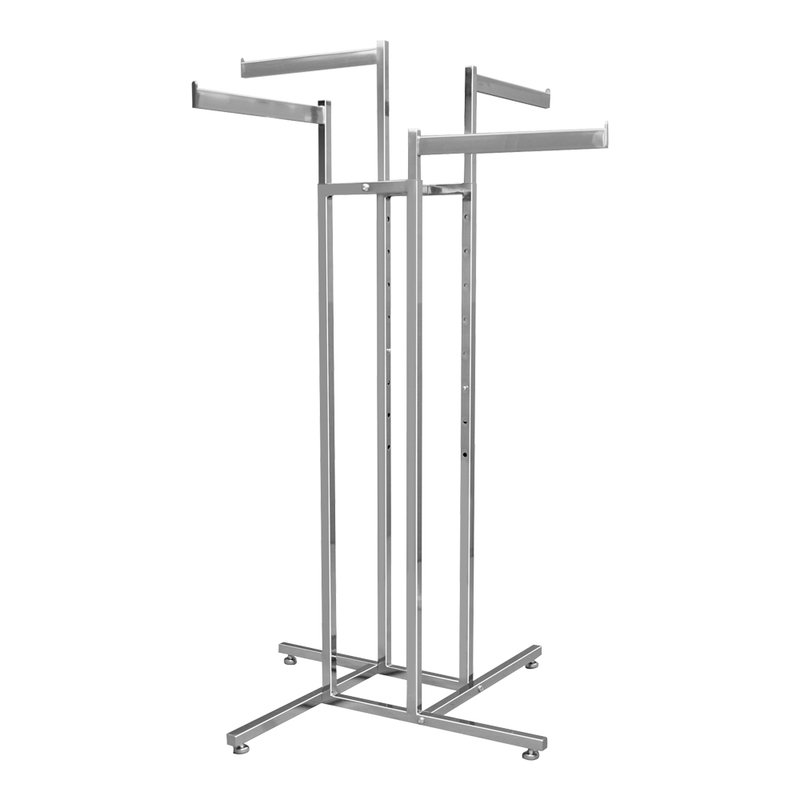 4 Way Clothing Rack is a perfect display to feature merchandise or sale items. 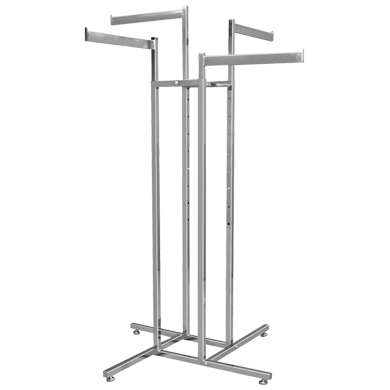 4 Way Clothing Rack has 4 straight 1 in square tube arms that are 16 in. long. This retail clothing fixture has arms that are height adjustable at the touch of a button and can extend from 51 in. to 72 in. in 3 in increments. All arms feature a swedge fitting for an optional sign holder. Add casters (#1030 or #1024) for easy mobility. Available in black or chrome.